Well, it would seem as though a dragon is attacking the countryside. Sounds like a problem that a good batch of heroes can take care of. ... ... ... What's that? There aren't any heroes around? ... ... ... Oh... I guess we'll just have to find poor schlub... I mean, new brave individual to send out to defeat the dragon. That shouldn't be too hard... should it? 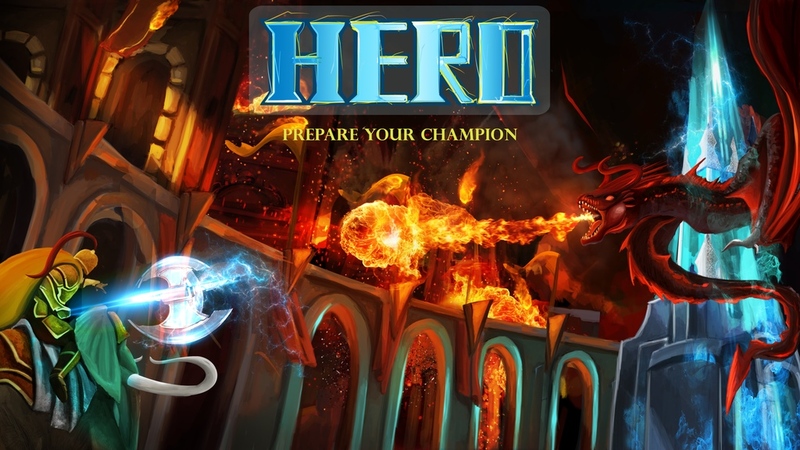 That's the story behind Hero, a new board game that's up on Kickstarter now. In this cooperative game, players take on the role of different townsfolk. They don't want to try and go out and slay the dragon themselves (that's dangerous! ), but if they can convince someone to go out, that'd work. But you can't just grab someone and send them out there unprepared. No, everyone's gotta help build up this new hero's chances. Forge them gear. Train them in fighting techniques. Breed them a mighty steed. You know, that sort of stuff. Will you all be able to save the town?